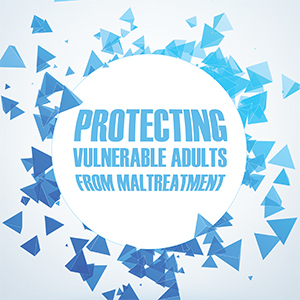 Maltreatment of vulnerable adults has been a topic of much discussion in the media and at the Legislature. Care Providers of Minnesota continues its efforts to provide members resources to prevent maltreatment with this full-day workshop. Care Providers of Minnesota has commissioned Martin-McAllister Consulting Psychologists—industrial psychologists—to examine the long-term care profession to gain insight on hiring and training staff and creating a positive work atmosphere. There is no getting around it: long-term care thrives on people-power—leaders, critical-thinkers, listeners, and caregivers. But how do you recognize them? How can you train them? Whether you are looking to hire new talent, develop existing talent or improve the dynamics of your team, you want to ensure that your time and energy are spent on the right people at the right time. Laura Pendergrass earned her PhD in counseling psychology from the University of Minnesota with a supporting program through the Carlson School of Management. Prior to joining Martin-McAllister, she was an instructor at the University of Minnesota and the University of Wisconsin, teaching psychology and education courses at both the undergraduate and graduate levels. While at the University of Minnesota, she conducted research in the areas of organizational personality, work-life balance, and employee-organization fit. She has also done work with local businesses to develop and present training programs related to organizational effectiveness and psychological well-being. Her current practice includes personnel selection and developmental evaluations; evaluation of law enforcement and other public safety officers; individualized coaching; development and presentation of training and team-building programs; clinical evaluation and assessment; vocational guidance; research and test development; and management consultation. She is also adjunct faculty at the University of Minnesota, teaching psychological assessment, among other topics. Download the workshop brochure for information about the agenda, parking, accommodations, lodging, and more! The Minnesota Board of Nursing has adopted new rules regarding continuing education requirements for nurses. The contact hour is now defined as 60 minutes (previously it was 50 minutes). Login required to register. Don't have login information? Request a login or contact Cicci (952-851-2498).